With 10 kids of various ages on my suburban street, we have often mused that instead of paying thousands for summer camps, we should hire two babysitters and rely on our kids' imagination to figure out the program. Babysitter sharing is usually a lot of fun for kids, and could be a great help financially because the babysitter fee does not grow proportionally to the number of kids they supervise. For example, you may pay $12 per hour for one child, while splitting a $18 per hour fee for two kids would cost $9. The best yet, is to ask one of the kids' favorite school teachers who may dare to supervise all kids from your neighborhood. It may run you $2-$5 per child per hour, while kids will be in trusted hands enjoying their friends' company. using one company's frequent flier miles to buy tickets on all partner airlines. See below my real life frequent flier math puzzle and the solution that allowed me to get an international round trip ticket for just $240. It is summer; enjoying friends' company makes us happier and is a great way to network if you are looking for a job. To save money, forget about impressing your friends with a fancy take-out or sophisticated home-made meal. Consider a potluck get together. Everyone loves making their signature dish and you can splurge on drinks, chips and salsa. Add an intellectual twist to your party by asking everyone to bring a puzzle and solve all the puzzles together. 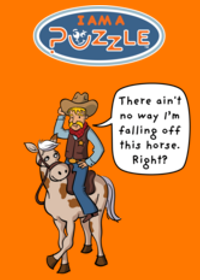 My Family Puzzle Marathon site hosts a wealth of entertaining, easy and not so easy puzzles. Send me your Math-to-the-rescue summer saving ideas. Find the least expensive way to gather 85,000 miles for a reward-based international round trip on Continental. your kid has 9,000 miles. You can transfer 43,000 miles from points earned on your credit card. and $32 to buy 1,000 miles from the airline. Now, remember that behind all these numbers there is a very affordable flight to romantic Europe, exotic Asia or the lush Caribbean. What is the wisest transaction of these miles that can get you there? Transfer 43,000 credit card earned miles to your spouse's account. 26,000 + 43,000 = 69,000. You still need 16,000 to get to 85,000. Then transfer 12,000 from your account and 4,000 miles from your kid's account to your husband's account. You would still pay for mile transfers between the accounts, but it will be: 16 x $15 = $240, not bad at all for an international round trip ticket during the peak summer season. I think in summer vacation no one can read or write properly that's why i suggest to you during the summer vacation must visit the US and take bus ticket for move city to city bus from nyc to indianapolis..
DreamHost is the best hosting company with plans for any hosting requirments.